(Reuters) - Airlines will likely suffer more disruptions like the one that grounded about 2,000 Delta flights this week because major carriers have not invested enough to overhaul reservations systems based on technology dating to the 1960s, airline industry and technology experts told Reuters. Airlines have spent heavily to introduce new features such as automated check-in kiosks, real-time luggage tracking and slick mobile apps. But they have avoided the steep cost of rebuilding their reservations systems from the ground up, former airline executives said. Scott Nason, former chief information officer at American Airlines Group Inc , said long-term investments in computer technology were a tough sell when he worked there. "Most airlines were on the verge of going out of business for many years, so investment of any kind had to have short pay-back periods," said Nason, who left American in 2009 and is now an independent consultant. The reservations systems of the biggest carriers mostly run on a specialized IBM operating system known as Transaction Processing Facility, or TPF. It was designed in the 1960s to process large numbers of transactions quickly and is still updated by IBM, which did a major rewrite of the operating system about a decade ago. A host of special features, ranging from mobile check-ins to seat selection and cabin upgrades, are built on top of the TPF core, or connected to it. "They have surrounded that old industry infrastructure with modern technology," said Bob Edwards, United Continental Holdings Inc's former chief information officer until 2014. "Those systems have to always reach back into the old core technologies to retrieve a reservation or to figure out who flies between Dallas and New York City." 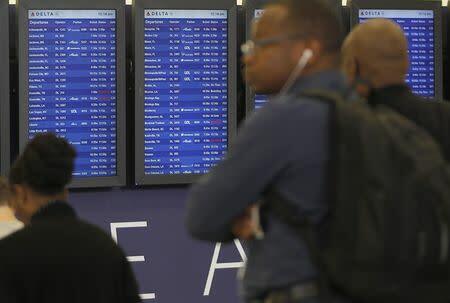 When a power outage shuts off that reservations system - as happened on Monday to Delta Air Lines Inc's "Deltamatic" system - TPF falls out of sync with the newer technologies that passenger service agents use to assist travelers, Edwards said. Airlines are then forced to cancel flights as demands from stranded customers flood their employees - who meanwhile are handling bookings on an older platform without their familiar, modern tools, he said. Several years ago, it took United six hours to recover from a test shutdown, thanks to complications with the many add-ons built atop TPF, Edwards said. Other recent disruptions include one in July that prompted Southwest Airlines Co to cancel over 2,000 flights and two outages last summer at United Continental. IBM Senior Vice President Tom Rosamilia said in a statement that TPF "was not named as the source or issue in any of the recent outages" and that it "is one of the most modern and reliable systems in the airline infrastructure." Rosamilia added that the vast majority of airlines use TPF "to process up to a million complex transactions per second, uninterrupted by frequent feature updates or the failure of other systems." Delta spokeswoman Kate Modolo said in a statement that a small fire on Monday resulted in a "massive failure" at the airline's technology center. Delta was forced to cancel flights because critical systems did not switch over to backup power as intended, she said. Reuters sent Delta and other major carriers detailed questions on TPF infrastructure and their technology investments. Modolo did not answer whether Delta relies on TPF, but said "the functionality of the IT programs we use" was not an issue. She had no comment on whether Delta had decreased or increased its spending on back-end technology over the past decade. 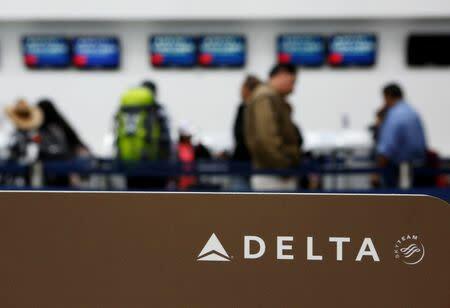 "We have a new CIO who has a go-forward plan to ensure Delta is on the cutting edge of customer service technology while strengthening our IT infrastructure so that it is reliable, redundant and nimble," she said in a statement. Most big airlines, including the four largest in the United States - American, Delta, United and Southwest - rely on TPF in some form, industry experts said. In response to questions from Reuters, those airlines did not answer whether their aging systems put them at risk of future disruptions, but all stressed that they are upgrading their technology and are focused on reliability. Southwest, for example, said it is in the process of replacing its reservations system. Earlier this week, in a video statement, Delta Chief Executive Ed Bastian said: "Over the last three years, we have invested hundreds of millions of dollars on technology infrastructure upgrades and systems including backup systems to prevent what happened yesterday from occurring. I'm sorry that it happened." U.S. and Canadian airlines are projected to spend an average of 3 percent of their revenue on information technology this year - compared to 8 percent by commercial banks and 4 percent by healthcare firms, according to Computer Economics, a firm that tracks IT spending. Nason cautioned that comparing technology spending by airlines to some other industries, including banking, can be tricky. Banks have lower capital costs and they rely more heavily on information technology for their core business. Still, technology experts say that level of spending by the major airlines is not sufficient, pointing to the recent failures as evidence. Part of the challenge is that U.S. airlines are under pressure from investors to top recent record profits and boost stock prices, even as economic troubles overseas have reduced travel demand. Delta, for example, is looking to boost its operating profit margin to between 17 percent and 19 percent by 2018. That's up from last year's margin target of 14 percent to 16 percent. Airlines have also held off on making major network upgrades out of fear that systems could fail during the transition, making them feel that they cannot afford to take them down to add equipment, install patches and perform other maintenance, said Gartner analyst Mark Jaggers. Some consumer groups have called on airlines to do a better job at planning for disruptions like the one this week at Delta, which affected hundreds of thousands of passengers over four days. "It is unfair to the traveling public that the cost of under-investment in needed equipment be shifted and placed on the back of air travelers," said travel consumer advocates Paul Hudson and Charlie Leocha in a letter to the heads of the U.S. Transportation Department and U.S. Federal Aviation Administration on Wednesday. Henry Harteveldt, founder of the travel consultancy Atmosphere Research Group, said some airlines are choosing to risk outages that might cost them $20 million to $40 million rather than invest, for example, $100 million on technology upgrades. He believes investors and the general public will apply increasing pressure on airlines to avoid outages at any cost. "We cannot afford, as a nation, for any of our airlines to be rendered useless by a technology failure," Harteveldt said. Yet it can be hard to convince airline management that the cost-benefit analysis justifies the major investments to make their computer systems truly fail-safe, said Edwards, the former United chief information officer. "When fuel prices are low and there's extra cash on hand, they want to spend it on the cool shiny things like planes and mobile apps," he said. "Nobody gets excited about the data center."